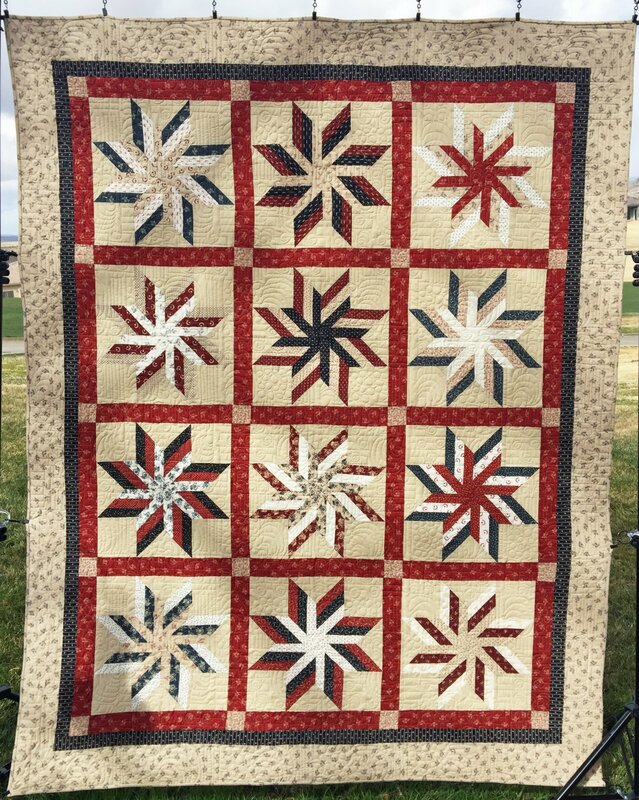 We have had many requests for another Patriotic Quilt Kit from the Sweet Sugar Swirls Pattern by Fig Tree & Co. Our first Version featured the Old Glory Gatherings Collection by Primitive Gatherings and has been a favorite on Pinterest for many years. This brand new version features the Liberty Gathering Collection, also designed by Primitive Gatherings, and is sure to be as popular as Old Glory was (and will probably sell out as quickly too). Just click on the picture to get the details.